I am convinced that opportunities exist in Islamic, or Shariah-compliant, investment products to address the investment needs of the world’s 1.6 billion Muslim citizens. I recently attended a conference on Islamic investment that Franklin Templeton organized in Dubai, where H.R.H. Sultan Nazrin Muizzuddin Shah, Sultan of Perak Darul Ridzuan and Royal Patron for Malaysia’s Islamic Finance Initiative, delivered the keynote speech. He reflected on the progress made by Islamic finance in recent years, and the challenges that remain. 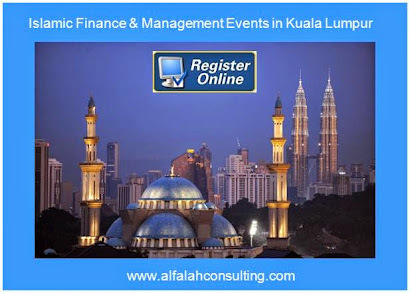 I believe the presence at our conference of such a distinguished and respected member of the Islamic financial community reflects well on the efforts both of our team in Malaysia (a key center for Islamic finance) and those within our wider organization. The presence of the Royal Patron for Malaysia’s Islamic Finance Initiative at our conference in Dubai was no accident, as Malaysia and Dubai are among the strongest proponents of Shariah finance globally. Both countries have been active in developing institutional structures opening the way to the international development of Shariah-compliant products, including both Shariah equities and Sukuk, commonly referred to as Islamic bonds. Malaysian authorities, in particular, have been proactive in encouraging the development of a wider range of Shariah-compliant financial products, while Dubai is the home of one of the first Islamic banks, set up in 1975, and is aiming to become a major global hub for Islamic finance. 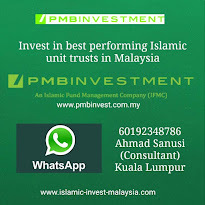 The efforts of proponents of Shariah-compliant investment in Malaysia, Dubai and elsewhere were fruitful in 2014. Several Sukuk offerings from non-Muslim countries— including the United Kingdom, Hong Kong, South Africa and Luxembourg—represented a major breakthrough for a type of product that had previously been largely local in nature, with issuance restricted to a few Islamic nations. In the context of global financial markets, Shariah-compliant equity and Sukuk investments remain relatively small in scale. Islamic finance is still a young industry in comparison with its conventional counterpart, growing fast but still representing a small fraction of global financial assets. The bulk of industry assets are still accounted for by Islamic bank deposit accounts. Aspects of Islamic law affect investment, including the prohibition of the payment of interest, so-called “riba,” and on a range of activities and products forbidden to Muslims including alcohol, armaments and a number of foodstuffs and food-related activities. These prohibitions appear relatively simple in principle. In practice, the interpretation of what is Shariah-compliant and what is not can be complex, requiring the active involvement of Islamic scholars, especially as new investment products are developed to widen the range of the Islamic investment industry but that require considerable discussion. Furthermore, interpretation of Shariah principles differs from one Islamic scholar to another. Thus, creating uniform standards for products can be problematic, with differences from jurisdiction to jurisdiction, and with many products not adhering fully to those standards that are set. With businesses looking to develop increasingly complex Shariah instruments, for example in the field of derivatives and currency hedging, issues of interpretation can be a barrier to market acceptance. 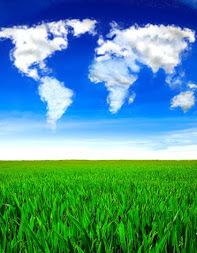 However, I find that many of the ideas implicit in Islamic investment are gaining increasing acceptance within conventional markets through the concept of ethical or socially responsible investment, creating an obvious point of contact between the Shariah-compliant financial world and a growing area of conventional finance. In addition, Shariah-compliant investments emphasize a worthy function and social impact to help mankind. This aspect appears to potentially fit with the need for high levels of infrastructure investment across a wide range of emerging countries, both in the Islamic world and beyond: investments that will likely need to tap resources well beyond the capacities of individual governments. 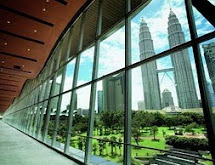 With much work going into creating infrastructure Sukuk with international acceptability, I believe this pressing global need could represent a great opportunity, and one that we at Franklin Templeton could be well placed to participate in. With Islamic nations among the world’s most populous and fastest-growing economies, I strongly believe that Shariah investing could become increasingly important, as well as a thoroughly worthy endeavor in tune with the ideals of our mentor, Sir John Templeton. Mark Mobius’ comments, opinions and analyses are personal views and are intended to be for informational purposes and general interest only and should not be construed as individual investment advice or a recommendation or solicitation to buy, sell or hold any security or to adopt any investment strategy. It does not constitute legal or tax advice. 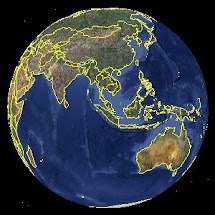 The information provided in this material is rendered as at publication date and may change without notice and it is not intended as a complete analysis of every material fact regarding any country, region market or investment.